Are Synthetic Fibre Carpets Stain-Proof? Synthetic carpets are made of Polypropylene or Nylon, with polypropylene used most commonly in the UK as a cheaper domestic carpet that is easy to clean and wont stain. But is that true? Are synthetic fibre carpets really stain-proof? Carpet shop advertisements promote them as stain resistant and mostly that is true. It is almost impossible to stain them with any kind of water-based stain, because polypropylene does not absorb water. BUT, this isn’t the same for any oil or grease type of stains. Polypropylene carpets are much less resilient than wool fibres, because they don’t have an in-built memory to bounce back after being trodden on and polypropylene carpets will start to flatten quite quickly. The brand new shiny lustre soon begins to dull, because of the sand and grit content of soil, from the soles of shoes, which begins to gradually scratch and abrade each fibre. It’s a little like dragging sand paper across a plastic surface, which soon becomes obliterated with scratches. Synthetic fibres will respond well at first, to cleaning; but this changes over time and it cleans less and less easily. This is because the fibres develop small cracks and fissures which then trap dirt particles and are almost impossible to remove. The face pf the carpet areas in constant use, soon start to look ugly and dirty. 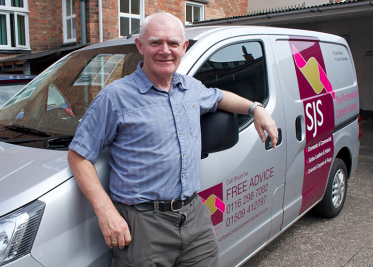 Carpet cleaning is a complex business to get right and knowing which cleaning agents to use with which fibre types to get the very best results, is where the NCCA National Carpet Cleaners Association Training equips SJS carpet cleaning to give you the very best results on all your carpets – every time. Ask us anytime for advice on how to remove household spills from your carpets.